As well as the Rain and SmartRain spray patterns, this GROHE Euphoria range hand shower boast an indulgent addition: the Champagne spray draws air into the spray face and mixes it with the water to enclose you in a perfectly soothing emollient water flow. This hand shower comes complete with a 600 mm shower rail. Our QuickFix system makes installation of the included 600mm shower rail simple and trouble-free by letting you reuse existing drill holes or place them between your bathroom tiles. The TwistFree hose means getting your shower hose in a tangle is no longer a problem. 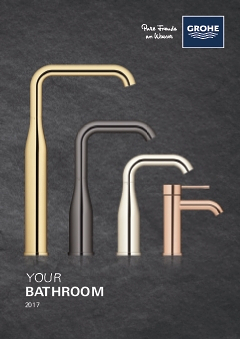 The hard-wearing GROHE StarLight surface is effortless to maintain. The GROHE EasyReach tray add-on is a user-friendly solution for your shower gel and shampoo.